In recent years, Transitional Style has become the popular ideal for many homes. 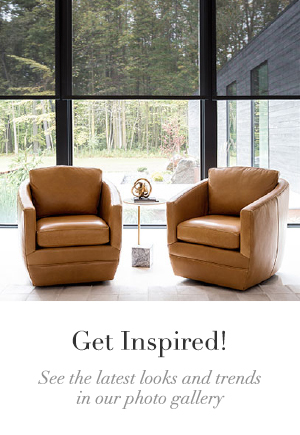 Search “transitional” on Houzz or Pinterest, and you will find countless photos of homes dressed in clean grays and neutrals with touches of interesting design features, such as herringbone backsplashes and geometric chandeliers. But what exactly is Transitional Style? Transitional Style combines modern and traditional elements that create a soothing, comfortable environment in your home. Mixing these different styles, as well as blending masculine and feminine details, embodies the transitional home. By using clean and elegant color palettes, contemporary furniture, and splashes of traditional flair, you can transform your home into the envy of your neighborhood. A traditional home consists of rooms with rich dark woodwork, curved furniture, and luxurious textures. On the other hand, you will find monochromatic elements and sleek design in contemporary homes. This means that the furniture, walls, and windows will contain shades of similar colors and straight, clean lines. Transitional Style brings elements of both styles together. Keep reading to see examples of how to incorporate Transitional Style into your home. Window treatments can easily set the tone of any room in your house. Whether you want to dress your window with Drapes, Roman, or Roller Shades, The Shade Store provides many high quality options for you to bring in touches of transitional style. Transitional Style takes the best of traditional and contemporary components and adds a unique sophistication to your home. It uses neutral colors like ivory, beige, and gray to create a sense of elegance, which in turn builds a relaxing atmosphere for all. 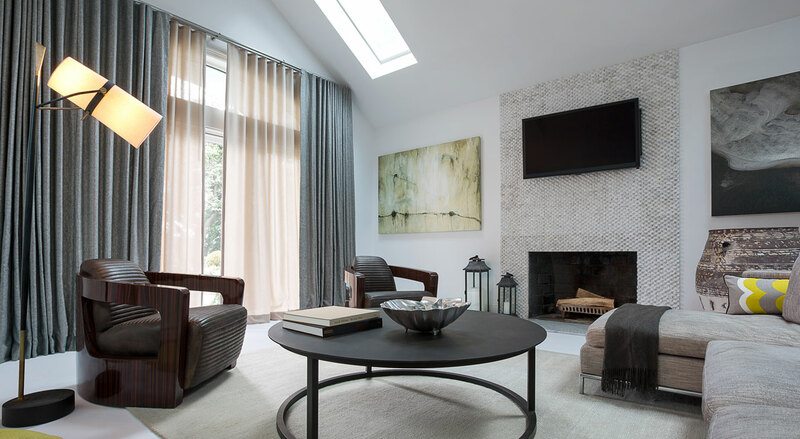 Our Ripple Fold Drapes in the color Onyx are the perfect traditional drape to add to this modern home. The rich gray drape along with our Basket Sheer drapes both complement the contemporary sofa and chairs creating a fresh look. Our Ripple Fold Drapes come in 450+ colors with 87 exclusive materials, including plenty of neutrals. The secret to bringing any room together is layering. Our Pinch Pleat Drapes go perfect with our Flat Roman Shades. Without window treatments, this dining room could risk looking too stark with the straight lines of the furniture, Lucite chairs, and abstract artwork. The Pinch Pleat Drapes in our traditional velvet fabric and the dining room table with a contemporary feel transformed this neutral room into a transitional one with just one design element. Check out our blog post How To Layer Window Treatments for additional inspiration into the world of layering. This elegant sitting room in the Bungalow Hotel designed by The Novogratz is an excellent example of a mix of traditional and eclectic, resulting in a transitional look. With beautiful bold artwork and old-fashioned settee sofa, Ripple Fold Drapery adds a chic presence to this conventional room. Ripple Fold Drapes glide on a track that can either be attached to the ceiling or wall. With the variety of control types available, including cord, baton, and our new motorization option, our custom drapes will fit the needs of any space. Through the flawless blend of lights and darks, choosing either our Roman or Solar Shades can help make your room into the perfect sanctuary you’ve always dreamed of. Here, our Cascade Roman Shades are an ideal accessory to balance out the dark traditional woodwork and the chic modern couch and coffee table. These Roman Shades not only add softness and depth to this room, but they provide privacy and light blockage when needed. 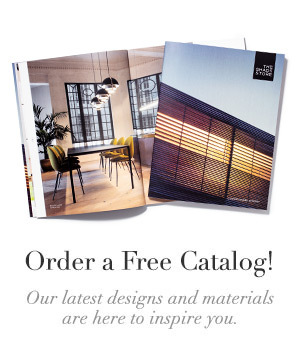 Explore more of our Roman Shades collection to see other five styles we offer. Looking to add some Transitional Style to your home? We are here to help! 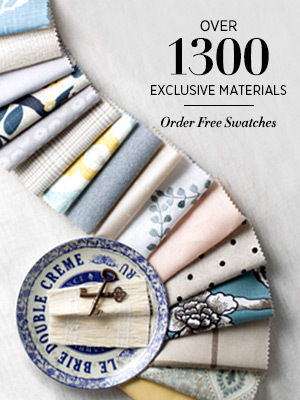 Check out our free swatch collection to pick the perfect fabric, or talk to our expert Design Consultants in one of our nationwide showrooms.